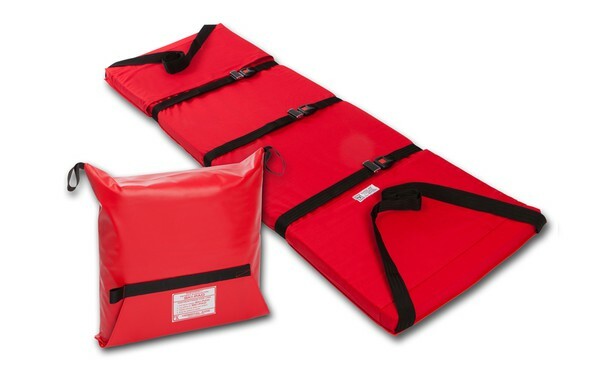 Padded mat for the quick and safe evacuation of mobility impaired individuals in emergencies. 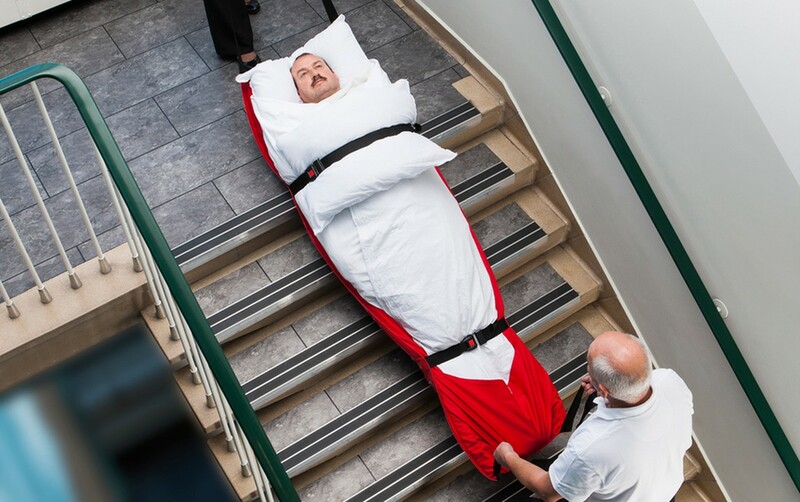 Ideal for nursing homes evacuation or Rescue. Good used condition from a closed care home. 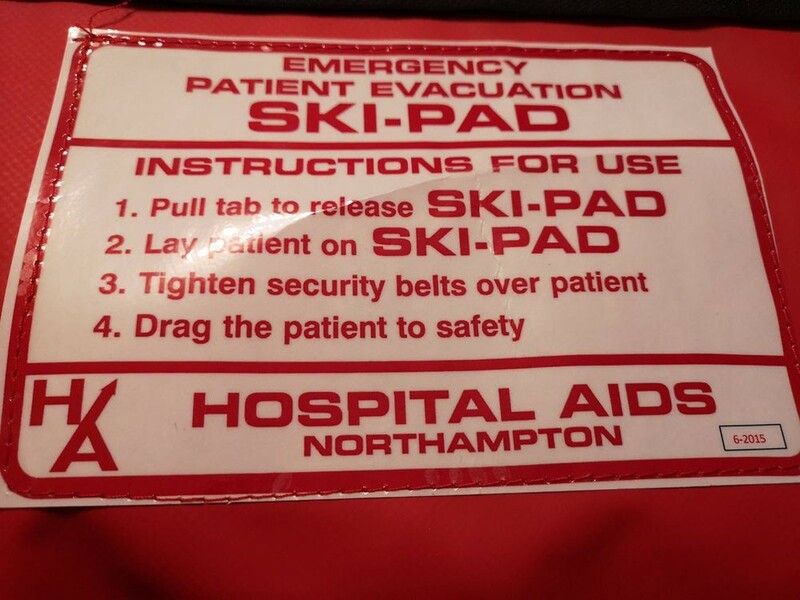 Hospital Aids Ski Pad & Storage Bag for patient emergency evacuation. The tough slippery Vinyl coated material base of the Ski Pad enables patients to be moved easily over virtually any surface - indoors or outdoors. Unlike other evacuation sledges, the Hospital Aids Ski Pad is fitted with an IMMI buckle that makes the sheet the only product on the market to be NHS approved." 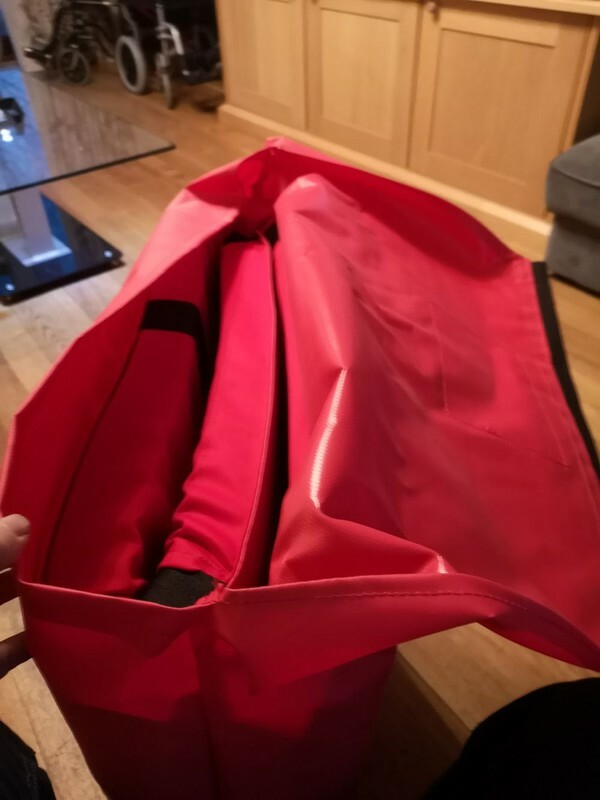 Has not been out of the box it was delivered in so as new condition. 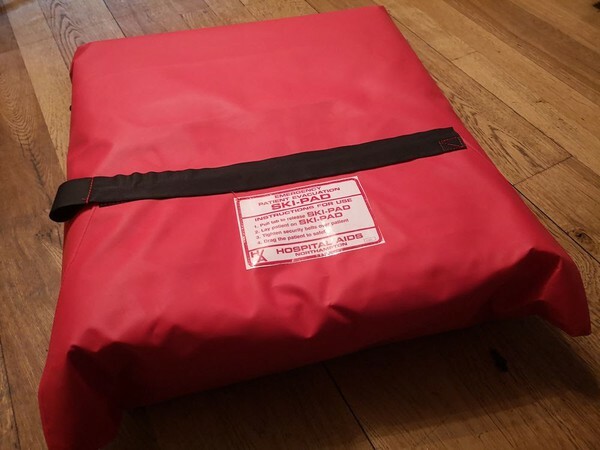 New price is £311 so a bargain here. 6 are available in total.